bareMinerals 'Bare' complete coverage serum concealer: The serum element of this concealer makes it perfect for dry skin because it has a bit of slip to it without being overly creamy. It doesn't accentuate the dryness in the under eye are but it also doesn't crease. It gives full coverage and the flexible, flat doe foot applicator is ideal for working around the eye area and the sides of the nose. Too Faced Born This Way Naturally Radiant Concealer: I really love this lightweight concealer because it adds a little bit of radiance to the skin, it gives medium coverage and it blurs the look of fine lines. It doesn't crease at all on me and I never set my under eye area. It has a small doe foot applicator, which is perfect for around the eye area or precise concealing on the face. Clarins Instant Concealer: This concealer really packs a punch in terms of coverage and is ideal for all areas of the face. It is lightweight in texture and it doesn't dry to a matte finish, however it doesn't add radiance either - it is skin-like but with a good amount of coverage. Only the tiniest amount is needed so this 15ml tube lasts a long time. It doesn't crease, settle into fine lines or break down - an all round winner. Kevyn Aucoin The Etherealist Super Natural Concealer: This is another lightweight concealer (can you sense a theme?!) that has a satin finish and gives medium coverage. It minimises the signs of fatigue in the under eye area with its light reflecting properties, makes the area look smoother and doesn't cake or crease. Milk Makeup Flex Concealer: This is a full coverage concealer - ideal for very dark circles and a little goes a long way. It isn't as hydrating as the other concealers in this post but it isn't drying and doesn't settle into fine lines, cake or crease at all. It is lightweight and perfect for use all over the face as it covers redness and blemishes. It blends into the skin really well and is extremely long lasting. I think that this concealer would suit all skin types. 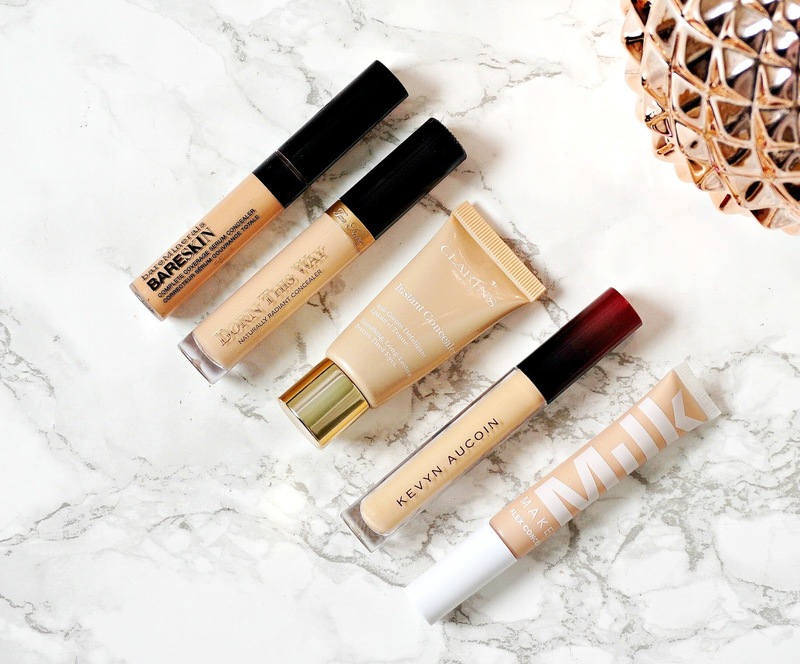 Have you tried any of these concealers? What's your favourite concealer for your skin type? I'd love to hear!